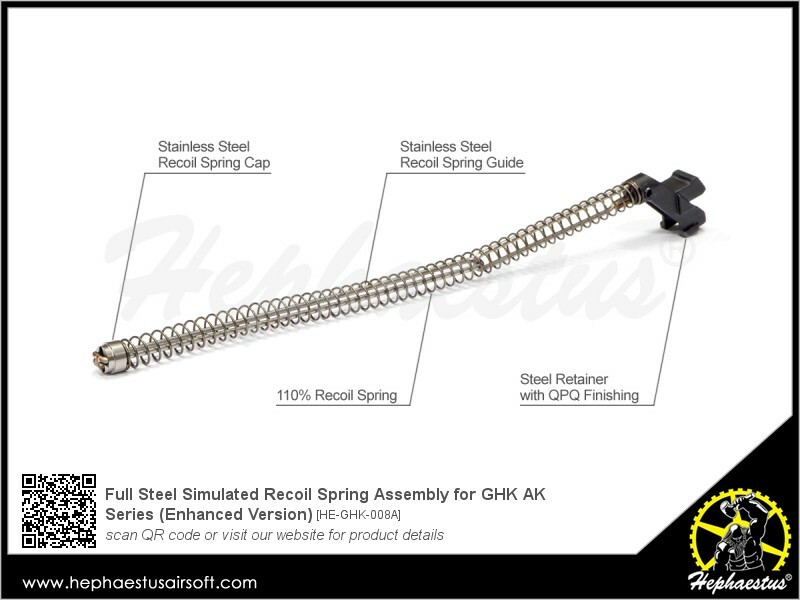 Stainless steel Recoil Spring Guide and Spring Cap. Steel Retainer with abrasion-resistant QPQ finishing. Equipped with 110% Recoil Spring for sharp recoil. Increase kick and enhance shooting experience. 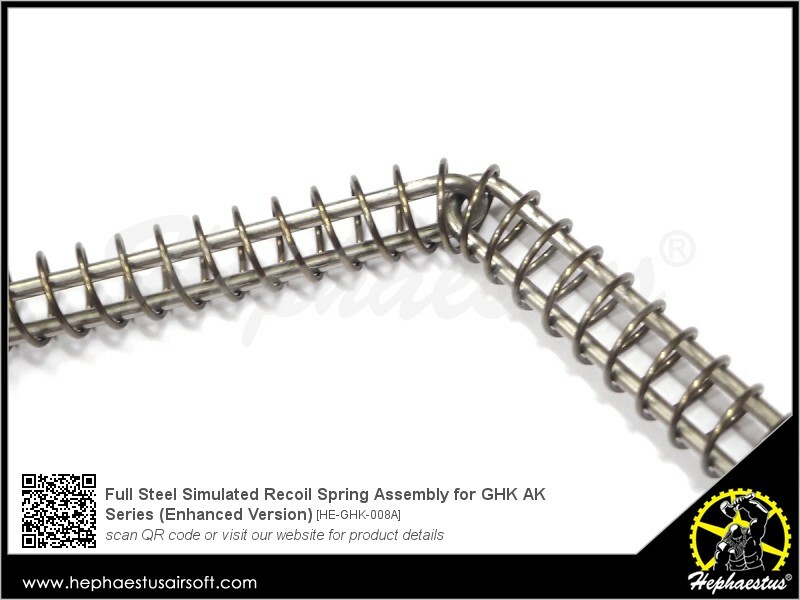 Evolved design for smooth operation and easy installation. 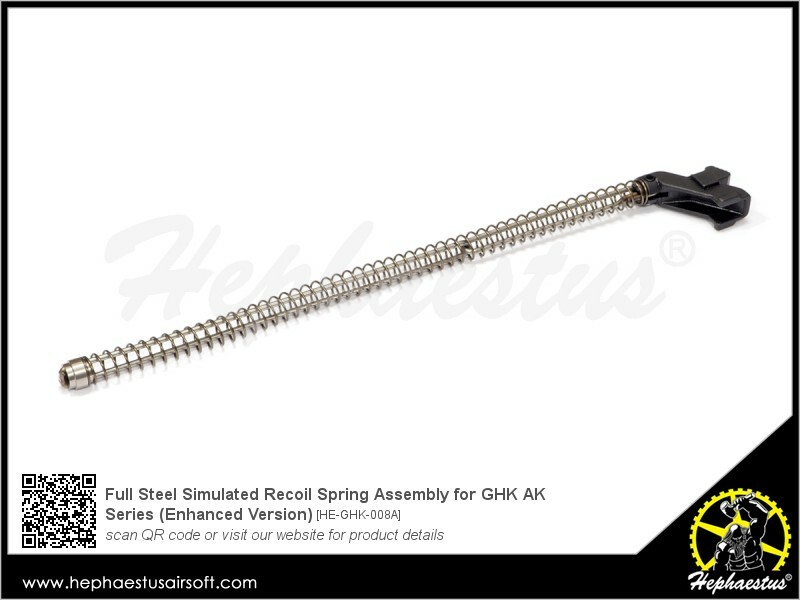 Reinforced replacement for original Recoil Spring Set (#GKM-08-1).